The 5-inch TFT display has a resolution of 540x960 megapixels. The internal memory of 8GB can be expanded upto 256GB. An 8 megapixel camera in the rear while a 5 megapixel camera for taking selfies. It is powered by a 2600mAh battery. A low end phone packed with sustainable features, Samsung Galaxy J2 Ace is not for those who live their lives through their smartphones. The camera quality and processors are bleak and outdated when compared to the current tech exhibited by competitors in the same price range. Samsung Galaxy J2 Ace users may want to consider a switchover to a better phone if they want to enjoy powerful performance and photos with high aesthetics. 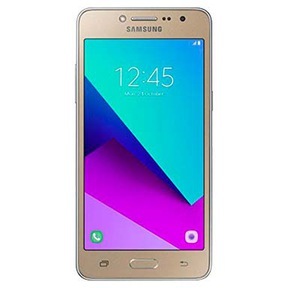 Cashify turns your guardian angel here, by providing you the best industry prices for your old Samsung Galaxy J2 Ace within minutes in the most convenient environment. Why Sell Your Old Samsung Galaxy J2 Ace On Cashify? 1. Install the Cashify App or head over to Cashify website. Choose the brand name and model name of the smartphone which you want to sell - the Samsung Galaxy J2 Ace in this case. Cashify will then need a few inputs from you regarding the age, warranty period and physical condition of your Galaxy J2 Ace to assess the current status of your phone. 2. Cashify will then generate quotes using your responses. These will be the most fair price quotes in the industry. 3. If it seems appropriate to you proceed to arrange a free pickup and inspection from Cashify at a place and time that you are comfortable with. 4. The representative will reach you and after inspection you will get paid instantly. You are free to choose the mode of payment that includes Cash, Bank Transfers, or e-wallets.